Everyone is faced with this big question when its time study in a higher institution "Which Nigerian University would be a good choice and why?". Many have made this very big mistake of choosing a university because of name, past glory and even place of location without considering some factor which will foster good or bad learning. This has left many disappointed and fustrated. We have done a qiuck rush down of some factors a University aspirant should consider before making their choice. This particular factor should bother every aspiring student before diving into his/her choice. Every Nigerian University can be ranked high or low using this factor. How seriously is the lectures taken, how well do lecturers try to make sure students understand what they teach, How consistent is the university with its functions according to the school calendar and many other factors should be a guide in choosing the right university. Learning is easier and more efficient with availability of the needed facilities and equipments which includes, Good housing structures with comfortable classrooms, functional and well managed university library(very important), laboratories and equipments, workshops and machines. All these aforementioned facilities should all be put in place and in good state to ease and make learning more efficient. This should also be a factor university aspirants should take note of. 3. School Environment And Location. The school environs affects the students academics and comfortability, while schools located in cities has advantages of more exposure to modern learning facilities and systems, it also has a bad effect to students morals and academic life. Aspiring Students should be keen on deciding and settling between this two choices to avoid later regrets. Choice of course is also an important factor why an aspiring student will have to decide on a University than the other. They are some Universities that excel and are very good at some course reasons being that such universities must have acquired necessary facilities for easy learning of such courses. Universities aspirants should make good use of such factors in determining their choice of institution. In as much as one must have taken into consideration above factors, one should also have in mind his/her financial capabilities as in regard to school fees requirements and cost of living while in school. 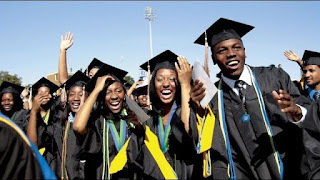 While some Universities mostly private, has high financial cost for studying in their University, some federal and state owned Universities are readily affordable. Therefore aspiring students should weigh their pockets before making a choice to avoid facing financial problems that could affect their studies or even lead to them dropping out of school.